Patrick defines accountability and explains how a performance agreement can help make you accountable. 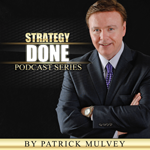 This entry was posted in Podcast Series: Strategy Done by Patrick Mulvey. Bookmark the permalink.